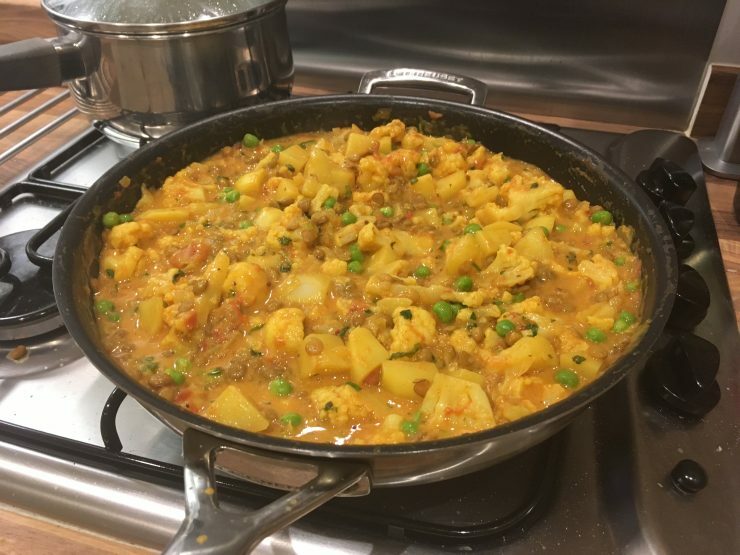 Quick and very easy curry! Feel free to substitute any of the veg! 1Fry chopped onion & garlic in oil until soft. 2Add potatoes, curry powder, turmeric and cauliflower. 6Add some peas and the lentils. 7Cook for another 10-15 mins. 9You can pretty much make this with any veg!